Worth your Time or Not? Liqui.io is an exchange wherein you can pair BTC with more than a dozen supported cryptocurrencies. If you want to buy/sell Ethereum or one of the supported cryptocurrencies for Bitcoins then you might want to look into this. What sets them apart from other exchange? You can invest your Bitcoin or Ethereum and earn 24% APR or 0.066% per day! Yes, that is correct. You can open a savings account with Liqui.io and earn passive income! This is the main selling point of the team behind this interesting campaign. A picture of the team members from Kiev office. Their headquarters is located in Kieve, Ukraine and their first announcement was back in July 2016 and was posted in this forum. Though I haven’t found any information on who the CEO is for this exchange which is a red flag in my book. Do you guys have any idea about the CEO of Liqui? If you do, please write it in the comments section below. Creating a new account with them is easy as 1-2-3. Go to their website and click on “Sign In/Up” on the upper right-hand corner of the homepage. Click “Sign Up” and a separate box will pop-up. Fill in the details and wait for the confirmation email that will be sent to the email address provided. Once you get the confirmation email, click on it and you’re done! Pretty standard registration process and no verification level required to start trading. They do not support any FIAT currencies. This means that you are unable to trade FIAT and connect your Visa/Mastercard or PayPal to your account or trade them. You need to have an existing wallet outside of this exchange market and transfer funds to your account. And more than a dozen more cryptocurrencies you can choose from! Since there are no verification levels involved, you can start buying/selling crypto currencies just as easy as you registered. You can either choose to put up your own pricing or just scroll down the exchange window and choose from the existing Sell/Buy Orders. If you find something interesting, just click it and this will auto-populate your order. A technology that already exists in other exchange websites. Margin trading is still not available in Liqui.io but it looks like they are planning to add it in the future. You can keep an eye out for this link. Trading fees for Liqui.io are divided into two categories. The “Maker” fee and the “Taker” fee. You pay an order with three means, BTC, ETH or USDT. The same fee applies for the three markets. Maker fee would be at 0.1% and the Taker fee would be 0.25%. What are Makers and Takers? Basically, in a trade, there are two parties involved. The maker who creates the trade and lists in on the order book. The take would be the one who takes that order. They are called “Makers” as their orders are the ones liquefying the market. “Takers” on the other hand are the ones purchasing listed offers. No withdrawal fees are listed online. Liqui is setting a trend from the monotonous exchange websites today by making a bold move in adding the “Interest” tab. This is where you can turn your regular account into a “savings account” with them. You can choose to invest Bitcoins or Ethereum for no fee and withdraw them at any given point in time to use for trading. On the screenshot provided, you can see that the “Available limit” for Bitcoin is 0.00 of 300. This means that the Bitcoin savings account is full and you are unable to invest. I clicked on the Ethereum tab and saw that the limit was still at 60.89 of 1000. By clicking “Learn more about this limit” on you can read more about how they can grow your investment. 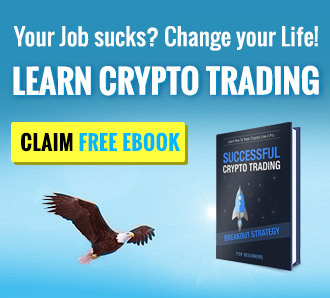 The website just screams out trading! They do not have any facade or a fancy picture, they have charts and numbers just all over the place. That would be your first impression when you visit their website for the first time, but it comes with functionality. Having no facade would make it faster for you to check their trades without having to click on anything. They admit that security is something that you cannot perfect. This is why they posted an event to find bugs in their security platform and website which can be found in hackerone.com. liqui.io is a scam, you may find it on google: just see what happened to tons of accounts that received TRX. Liqui.io can move your crypto assets without your consentement and withdrw your fund to their acount. They say that if you are not gambling enough with your assets, they can move it. All crypto traders and new crypto traders should be aware about liqui.io policie. I did email them and they never answer. So they stole me. Liqui doesn’t do much support and a lot of people lost funds in deposits that never got through or withdrawals that never succeeded. Now it’s time we stood up and do something about it. There are enough people who are more than willing to put some effort into this. My experience with this exchange is terible . I deposit a small amount of ETH and ETH is still in the contract. I am trying to contact support since 31st of January and still no reply. Is like is a ghost company. 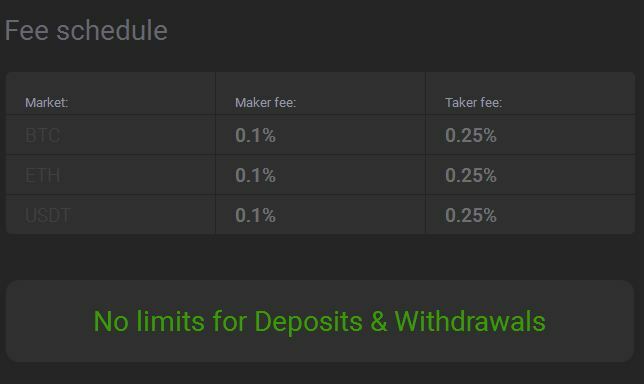 Yesterday night Liqui restricted recharging of accounts by USDT, and thus prohibited interexchange market-makers from shortening spreads and liquidating arbitrage opportunities. After that prices of ALL coins dropped, and up to evening spread bitween Liqui and Bitfinex was increased up to 40%. So exchange owners squeezed traders to sell to them coins on 35%/40% lower prices than on other exchanges. It is clear scam. These guys are fraudsters! I have terrible experience using Liqui. I am a trader and Liqui is by far the worst exchange. First, the 2FA code suddenly does not work and the customer service took a long time to response. I even told them how much coins I have on Liqui as I use Coinigy for trading and all the coins appears on my Coinigy dashboard. However, they said I am a hacker and the coins that I own does not tally with their record. This is unacceptable. Now I have all my coins on Liqui and I can’t login to retrieve them. It is a very poorly managed exchange. I have my account locked out with no reason. Now I tried to login again and the 2FA code does not work anymore. I emailed the support and have given all my details and they said my info does not tally with their record. It’s hilarious. They ignore my messages and now my KNC coins are theirs, simply they locked you out from accesssing into your own account. It’s a disaster using Liqui.io Avoid them…It is a scam. Liqui.io is a 100% scam. Stay away from them. I submitted a btc transaction 24 hours ago and they are not honouring it. Total BS and a waste of time. Stay away from them !! 1000% Scam, no answer from support, just silence. Not sure but it’s possible they distribute trojan software by some tricky ways. 90% of my saving money i put it in ethereum and i send to my liqui account to buy different tokens. Publishing Owner Address and office location may increase its credibility for much adoption .Runing saving account is not enough.